When it comes to travelling, money is of great priority. Going out to see the world is indeed an experience of a lifetime, only if you can afford it. Sometimes, there isn’t enough in the vault that can get us to explore the world on our own. But even so, it shouldn’t prevent you from planning months in advance. There is a way in which you can make the most of your travels on a budget. And this article is the thing that will help you get there. Use the following tips to stretch out your travel budget a little more. This is perhaps the most basic approach to travelling. You have to prepare a budget for your trip and stick to it. 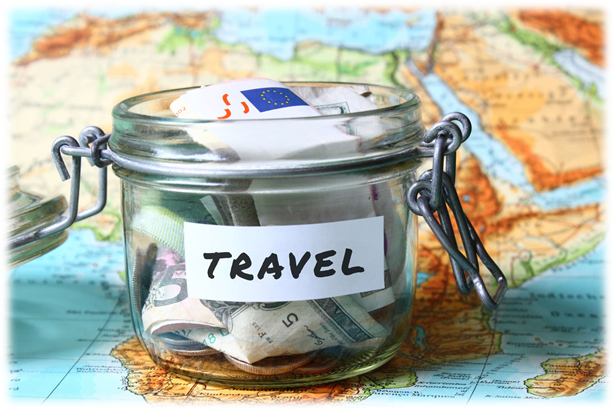 You can set up a budget for yourself using the travel website’s own calculator or on your own. But the point is that you have to do prior research before the booking. The most serene spot is right in your sights and the urge to book your flight tickets is too great. But you must not make haste. In order to give your wallet a breather, you need to compare the costs of travel and accommodation. Chances are that you could be paying more than what other travel agencies are offering. Compare the costs online and see which one is the cheapest. Many people don’t usually prefer this option, which is why it is the cheapest. So you can do yourself a huge favor if you opted for this. Not to mention you can save up a good deal on accommodations. Besides, grabbing a shut-eye is one way to deal with long-distance flights. Don’t you just hate it when you have to pay for everything at a hotel? Staying over is expensive enough, but having to charge extra for food is just going too far. However, you’ll be surprised to know that there are many hotels that offer free breakfasts as part of your reservation. You can even save up on a huge plate if you get up an hour earlier. If you have to you can prepare a plate for yourself and then save it for later. You can even skip lunch and work till dinnertime to keep the green in your wallet. If you want to take advantage of those discount fares, then you have to book in advance. Start planning as early as possible like about 6 months or even a year. You can spot those offers by signing up for airline newsletters, and getting updates through social media. It’s quite cheaper to travel in midweek. Try and get in touch with a couple of people you know who are just as thoughtful as you and book on a group tour. This is an orthodox tactic that will plug up the holes in your wallet. It includes a variety of costs all wrapped in one such as accommodation, meals and transport. These days, you get points for every dollar you spend on your trip. This is possible if you join a rewards program. Choose your favorite airline, hotel and rental car company and always travel through those companies. You will be getting a good amount of points for your travels. The more those points add up, the less expensive your travels will be. You can sign up for a business credit card that helps you get those points. You shouldn’t worry about spending now as you will save up for later. John Boitnott is working as a writer, a journalist and a digital media consultant in San Francisco. He has also written for USA Today, Venturebeat, FastCompany and also gives essay writing service to students. For more information To connect with him, follow via Google+ | Twitter | Facebook.